In this Tutorial we will learn how to add both 2D and 3D text to scenes. You could bring in text by putting it in an image, but not only would that be inconvenient for you, it would make it much more difficult for your customers to personalize anything from your shop. Instead, it would be better to add text in directly. Fortunately, ShapeJS has just the tools to do so. 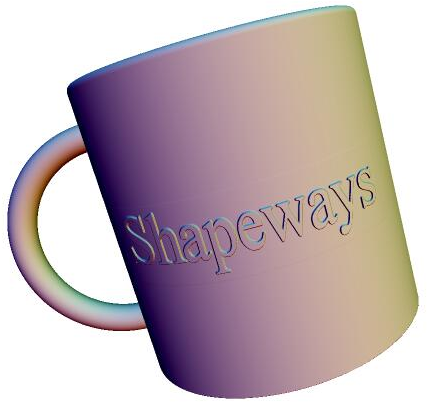 Let's make a new mug, this time with some names on it. The Text2d function creates an image for us, which we can then use to create a height map. 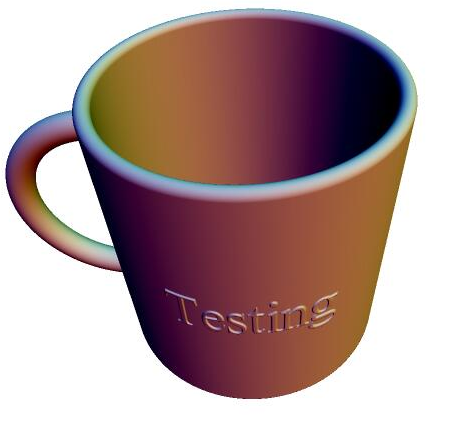 With the z depth of the image map we will make from the text, we want to make sure that is is deep enough to get all of a curved surface (like our mug) without having it go through and end up engraving things on the far side we don't want engraved. Of course, text is the ideal medium for customization, so why don't we allow the shopper to choose a string of his or her own to emboss onto our mug, rather than try to anticipate what they might want. To do this we'll both add in user definition for text and try to get the text vaguely centered. We'll need to keep track of the length of the text they put in, and perhaps, as an added bonus, we'll lets them choose the emboss height.